Excerpts from Expert Interview on Scope of Luxury Train Traveling in India. 1) What do you think is the scope of luxury trains in India? In a word, Immense! Although, India was a little late to board the bus, Indianluxury trains have captured a fair share in the luxury travel sector. The affluent traveler today doesn't mind spending much for unique and exclusive experiences. All studies and reports suggest that culture and exclusivity are the new trends in luxury travel and India is poised to be a major player in this segment for it is almost impossible to beat India when it comes to cultural and geographical diversity. That way, luxury travel (luxury trains in particular) look a promising venture. All combined, the global luxury market is expected to grow by 10 percent in 2013 (according to Bain & Company report). The new generation of luxury travelers search for cultural interactions and insider experiences at the places they are traveling to. India has a distinct advantage here and operators of luxury trains are incorporating these aspects into the train tour package to lure the rich travelers. High Teas with Maharajas in their palaces, visit to tribal villages & heritage sites as well as hospitality rendered by the train staff aims to recreate a more gracious age of train traveling. India with its immense cultural diversity and rich heritage is an ideal location. The need is to stay ahead of time and tastefully incorporate what the guest wants and desires in the train itinerary. Luxury train traveling is one segment to look out for in 2013. 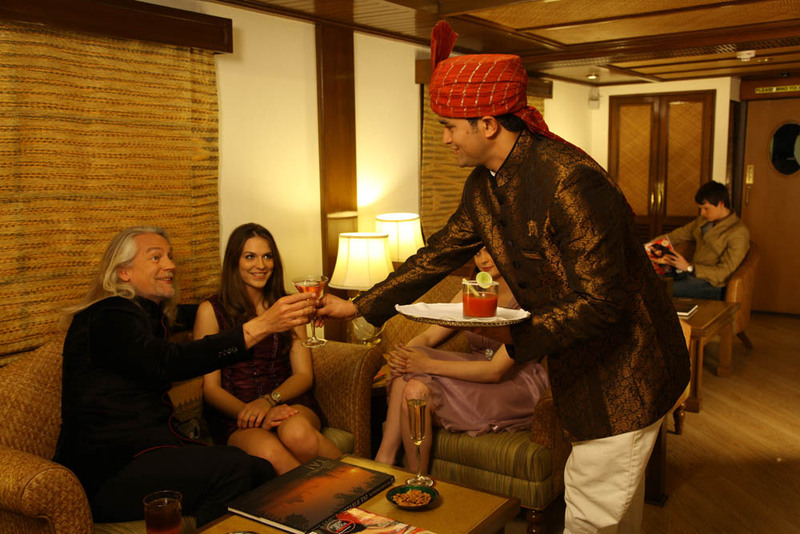 2) How can luxury train travel be improved in India? Although they are doing quite well for themselves, I still think lots can be done with the itineraries of the current trains in operation. Some of the present itineraries are too similar in terms of the destinations and the overall experience offered. For example, Maharaja's Express' Treasures of India and Gems of India are mundanely similar. Furthermore, the itinerary should offer a lot more bang for buck as I mentioned above incorporating more cultural interactions and insider experiences like some of the Maharajas’ Express itineraries include e.g. visit to Bishnoi tribe in Rahasthan, High Tea with Maharajas and Nawabs, Cultural performance amidst Sam sand dunes in Bikaner etc.. Direct tip - include a lot more activities with cultural interactions. 3) The marketing strategy used to promote luxury train travel? The key is to market luxury trains as a viable venue for holding exclusive, high profile events - personal and business - taking the train to corporate should be a major hit. Another thing before segmentation for target marketing is to keep the need hierarchy model in mind as this niche is very exclusive and so should be the appeal and connect. Catering to appropriate clientele based on lifestyle and belonging is also important. The clientele average age base also need to be reduced to attract more and more guests. Exclusive clubs, brand muse and media publicity at this stage will create brand awareness at targeted level around the globe. Lifestyle magazines and TV channels (documentaries instead of ads ) are most vital medium to reach the target audience. methods that could be adopted to improve them? There is an urgent need to upgrade the cars of luxury trains in India. Most of these cars are similar to other trains in composition except for the decor and facilities on board. Older luxury train like the Palace on Wheels in Rajasthan could take the cue from Maharajas' Express design which uses pneumatic suspension for smoother ride and sound sleep. Rocking of the carriages is a major concern for guests. Another thing is to reduce the 'excessive' shopping activity at every destination which annoys guests. European luxury trains have the slight advantage of entering the race about a hundred years earlier. So they definitely have the early bird advantage. Other than that, the higher spending power and lesser travel involved translate into higher footfall for European trains. But, it's still commendable how Indian luxury trains have caught up. Indian luxury trains are not lagging far but they do need a strong branding exercise something similar to Agatha Christie’s book could help immensely in branding of luxury trains inIndia (laughs). other luxury trains in the world? Cost can be a major reason. Guests can book an 8 day tour on most revered luxury of Indian trains at only $2730 (approximately) - and that's all costs included. Besides, I doubt any other country can provide a cultural setting as diverse as India. One of the exclusive feature of luxury train traveling in India is the cultural interactions and activities such as visit to Bishnoi Tribe in Rajasthan, High Tea and dining with Maharajas in their palaces and getting to know their past through their own account etc. Luxury Trains around the world do include sightseeing of monuments (Orient Express), wildlife excursions (Rovos Rail) etc. but none could offer the insider experiences as does Indian Luxury Train. The point discussed above do make Indian luxury trains stand out when compared to other luxury trains in the world. Moreover there are certain unique aspects of each train like the interior decor. Whereas The Golden Chariot operating in South has interior inspired from Hoyasala and Mysore architectural forms, Palace on Wheels recreates the ambiance of erstwhile Rajputana kingdoms. The most luxurious of the lot Maharajas’ Express has each carriage named after a ratna (gemstone) and the refined interiors and elegant interior décor reflect a grace unmatched by any other train in the world. 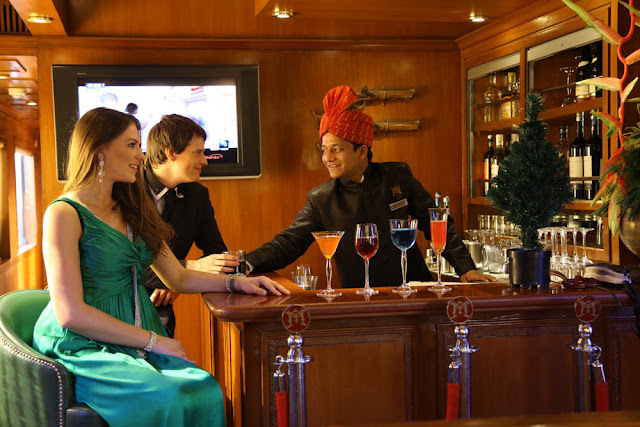 Another thing that makes Indian luxury train stand out as compared to other luxury trains in the world is the traditional Indian hospitality, red carpet welcome and personalized service throughout the journey. The guests who sometimes complain about shopping or rocking of cars during night never fail to mention how impressed they were with extraordinary service rendered by the staff on board. Definitely Maharajas' Express. With its fine tuned itineraries, state of the art amenities, array of insider experiences, gracious hospitality and cuisine variety, Maharajas' Express is by far the most luxurious train offering the most exclusive luxury train travel experience in the world. It has the most spacious guest carriages in its category when compared to any other luxury trains in the world and it has a Presidential Suite with a master bedroom and twin-bed bedroom, bath tub, living area and dining space. Now that's exclusivity and indulgence! 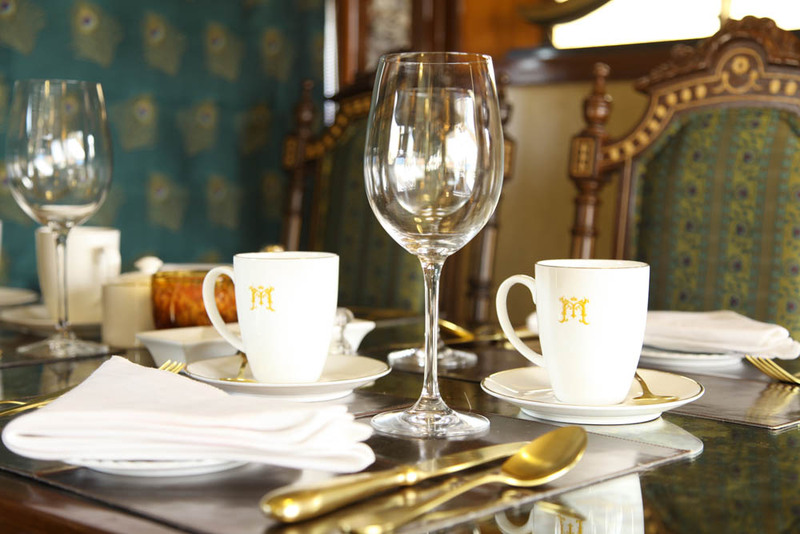 It's not an overstatement to say that this train is a "world of red carpet and high teas with maharajas".